Vatican Media has released a new video that focuses on the theme of the Apostolic Exhortation Gaudete et Exsultate: On the Call for Holiness in our Modern World. The two-and-a-half-minute video shows how the exhortation addressed the needs of people of all ages around the world. Are you one of those who’s just not satisfied with a mediocre existence? Pope Francis has written you a long letter. It’s a message for those who, like you, are living today’s risks, challenges and opportunities. Who are loving and bringing up their kids. Who are working hard to put food on the table. Those who’re getting ready for the future. Because each and every one of us is called to be holy. That means you, too. Did this ever cross your mind? It doesn’t mean believing you are better than everyone else because you know more, or do more, than others. And it doesn’t mean blindly following rules without love. But it does mean trusting in Grace to help you reach holiness. Jesus shows you the way. To follow him, today, is to go against the flow. It’s not to overlook the sufferings and injustices in this world. It is to be brave, to struggle, to be humble and have a sense of humour. 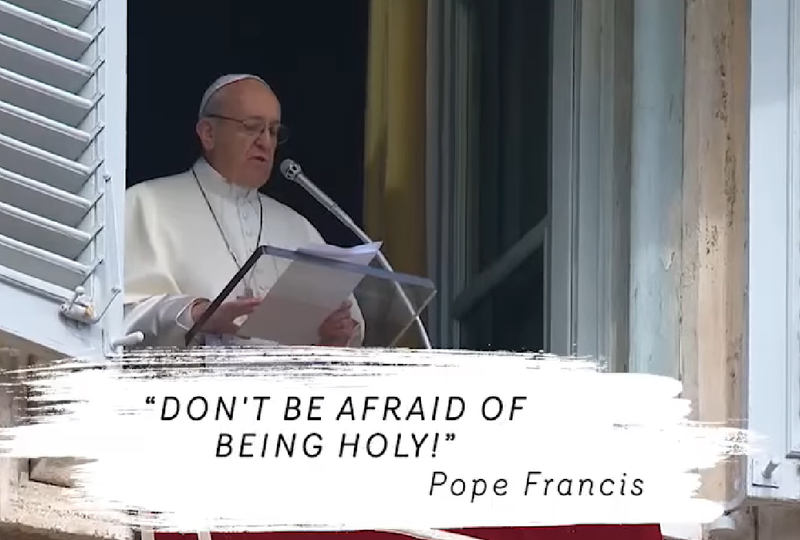 [POPE FRANCIS]: Don’t be afraid of being holy! Gaudete et Exultate, 1: “He wants us to be saints and not to settle for a bland and mediocre existence”. GE, 2: “My modest goal is to repropose the call to holiness in a practical way for our own time, with all its risks, challenges and opportunities”. GE, 7: “I like to contemplate the holiness present in the patience of God’s people: in those parents who raise their children with immense love, in those men and women who work hard to support their families, in the sick, in elderly religious who never lose their smile. In their daily perseverance I see the holiness of the Church militant”. GE, 10: “with this Exhortation I would like to insist primarily on the call to holiness that the Lord addresses to each of us, the call that he also addresses, personally, to you: ‘Be holy, for I am holy’ (Lev 11:44; cf. 1 Pet 1:16). The Second Vatican Council stated this clearly: ‘Strengthened by so many and such great means of salvation, all the faithful, whatever their condition or state, are called by the Lord – each in his or her own way – to that perfect holiness by which the Father himself is perfect’”. GE, 37: “Thanks be to God, throughout the history of the Church it has always been clear that a person’s perfection is measured not by the information or knowledge they possess, but by the depth of their charity”. GE, 49, Quoting Evangelii Gaudium 94: “Ultimately trust only in their own powers and feel superior to others because they observe certain rules or remain intransigently faithful to a particular Catholic style”. GE, 101: “The other harmful ideological error is found in those who find suspect the social engagement of others, seeing it as superficial, worldly, secular, materialist, communist or populist. Or they relativize it, as if there are other more important matters, or the only thing that counts is one particular ethical issue or cause that they themselves defend. (…) We cannot uphold an ideal of holiness that would ignore injustice in a world where some revel, spend with abandon and live only for the latest consumer goods, even as others look on from afar, living their entire lives in abject poverty”. GE, 100: “I regret that ideologies lead us at times to two harmful errors. On the one hand, there is the error of those Christians who separate these Gospel demands from their personal relationship with the Lord, from their interior union with him, from openness to his grace. Christianity thus becomes a sort of NGO stripped of the luminous mysticism so evident in the lives of Saint Francis of Assisi, Saint Vincent de Paul, Saint Teresa of Calcutta, and many others”. GE, 63: “Jesus explained with great simplicity what it means to be holy when he gave us the Beatitudes (cf. Mt 5:3-12; Lk 6:20-23)”. GE, 65: “Although Jesus’ words may strike us as poetic, they clearly run counter to the way things are usually done in our world. Even if we find Jesus’ message attractive, the world pushes us towards another way of living”. GE, 67 – 94 (the Betitudes). GE, 129: “Boldness, enthusiasm, the freedom to speak out, apostolic fervour, all these are included in the word parrhesía”. 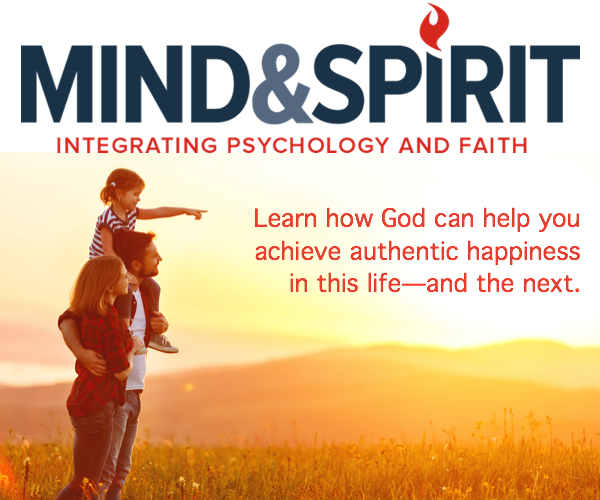 GE, 159: “We are not dealing merely with a battle against the world and a worldly mentality that would deceive us and leave us dull and mediocre, lacking in enthusiasm and joy. Nor can this battle be reduced to the struggle against our human weaknesses and proclivities (be they laziness, lust, envy, jealousy or any others). It is also a constant struggle against the devil, the prince of evil. Jesus himself celebrates our victories”. GE, 118: “Humility can only take root in the heart through humiliations. Without them, there is no humility or holiness. If you are unable to suffer and offer up a few humiliations, you are not humble and you are not on the path to holiness. The holiness that God bestows on his Church comes through the humiliation of his Son. He is the way”.